...the library has had to become very self-sufficient with regards to technology. Springshare helps me and my staff do what we need to do, with a minimal learning curve and lots of room for creativity. The backend stats are an added feature that let me place hard data in front of decision makers. With tight budgets and limited staffing, the Community College libraries are always tasked to do more with less. YCCC library serves a vibrant campus of diverse backgrounds, from teens in their Early College Program to military veterans to international students to the 80-year old students in their Senior College and more. Amber says, "our students share a strong work ethic and a desire to improve their lives. It is a pleasure and a privilege to be part of their academic journey." A good number of the students are the first in their families to go to college. Many are economically disadvantaged. There are hurdles as their experience with research varies widely. We dropped some databases to afford it and that was the single most impactful decision I have made on this job in 18 years. It changed *everything*! 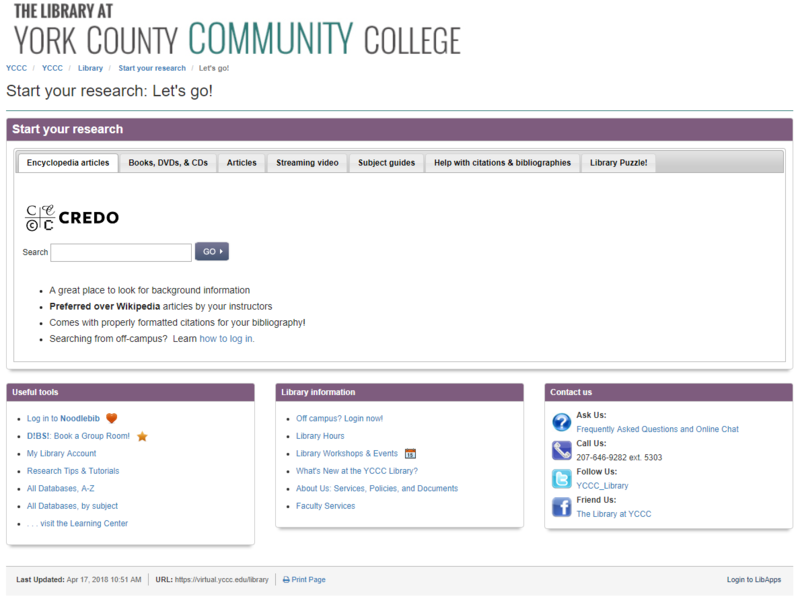 Back in July 2010, the library decided that they needed to have direct access to their own website. The college's administration considered the college's website to be primarily a marketing tool and they were having a hard time understanding that a web page could be a pedagogical tool. They built a strong case for purchasing LibGuides, envisioning all the obstacles they could remove to be able to have a website that is truly a tool for instruction as well as having the standard information that is available on a library website. With LibGuides the librarians have direct access to creating and editing content, making the library website a critically important learning platform rather than just a marketing tool. Amber continues, "...we did not have the ability to edit and create our own web pages without going through other departments, which were, understandably perhaps, not as responsive to our needs as we felt we needed them to be." In the library, students often express a lack of confidence when doing research for their assignments. We've been able to design the library website to help students through the research process, step by step, from topic exploration through proper citations. The library at YCCC is dedicated to the conversation they are having with their students and faculty. Listening to the user feedback, Amber found that the library needed to build a guide on Last-Minute Research, and… voila, the guide was published. One of the most valuable parts of using LibGuides CMS is the ability to create what we need in a reasonable amount of time and with relative ease. 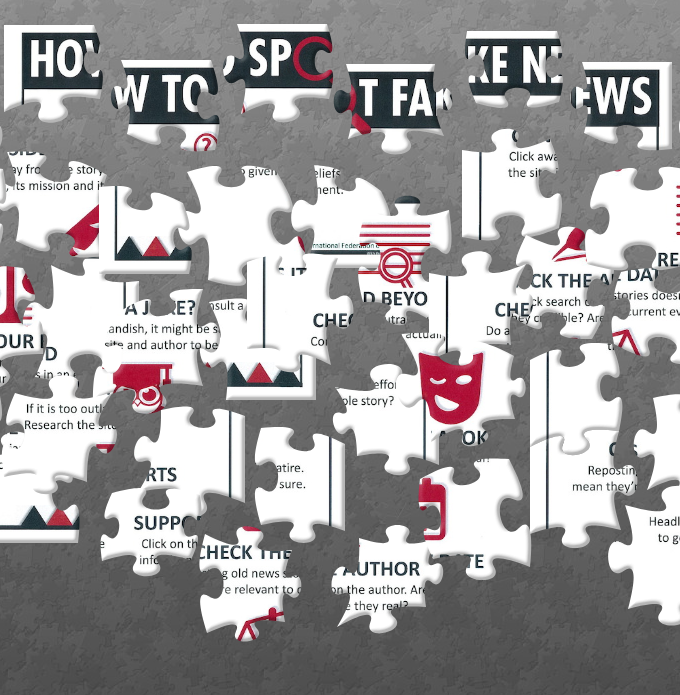 In one small example in our attempt to help students evaluate news sources, we created a new tab on our Library website with a jigsaw puzzle entitled, How to Spot Fake News. ...the ability to create tutorials. We'd been trying to do that in-house for years, but we didn't have the technical capabilities. 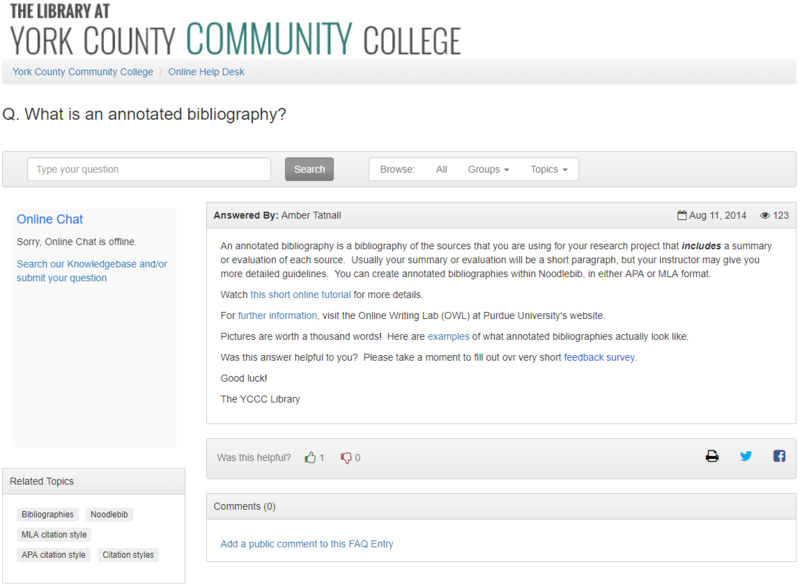 I really like making a video, embedding it in a LibWizard with some interactive work, and then following up with a quiz. 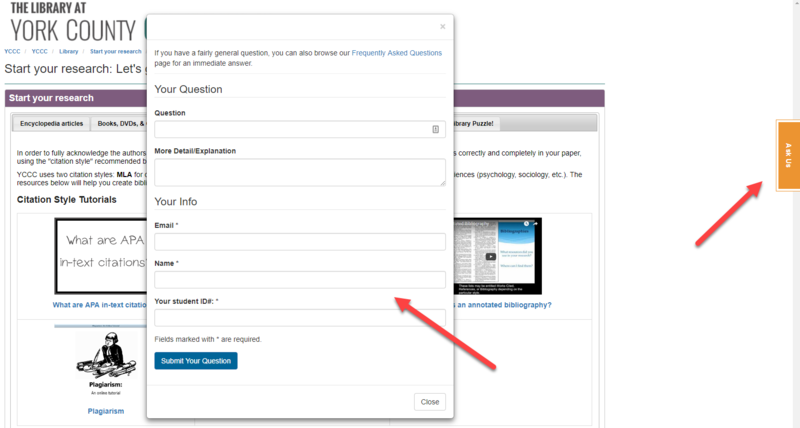 YCCC library has a Research Instruction-to-Go page that houses their tutorials along with quizzes, and printable handouts, and files they've uploaded -- like a Checklist for Writing Your Research paper. They also have LibAnswers FAQs in there and links to guides on things like Developing a Topic. The LibAnswers Platform has a two-fold purpose. First, it's a central hub to manage interactions with students, faculty, patrons, the public-at-large, and staff no matter which avenue they prefer to use to contact you – email, live chat, social media, texting, etc. Second, it has a great statistics package to ensure you are capturing the complete picture of the work being done at your library. You can walk into your meetings armed with data from LibAnswers on how many interactions and questions the library handled. To provide excellent service - Annette says, "Our library has a small staff and is open a limited number of hours and not at all on weekends. We wanted a way to respond to students' questions in a timely manner and LibAnswers helped us do that." To Support A Comfort Level - Annette also believes that the fact that students can maintain anonymity by asking questions online speaks to a comfort level they have. Many students prefer it. The important thing, in the end, is that they ask. To Keep Them From Getting Stuck - Amber says, "We also noticed that we were getting the same questions over and over and we wanted to remove common obstacles from the students' ability to keep researching. The FAQs were wonderful for that." Big Picture Stats - Amber further says, "...that statistical function of LibAnswers captures a lot of work that went unreported in the past." 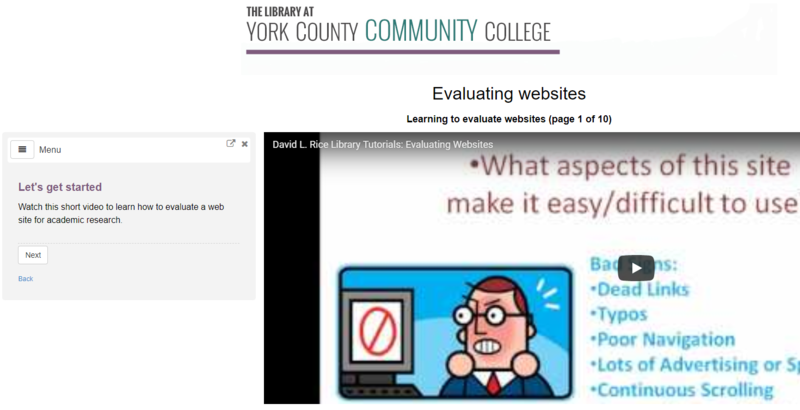 YCCC Library FAQs Link to LibGuides They've Built, LibWizard Tutorials, and Even Surveys! I think if folks don't integrate everything, they're missing an opportunity to reach someone. Springshare's tools are designed to work together to create a connected library experience for your team and your patrons. With widgets and APIs you can embed to your heart's delight. Display a LibChat widget on your A-Z Database list page. Add a LibCal mini-calendar to a LibGuide. Use the LibGuides CMS LTI Integration tool to offer tailored subject-specific resources inside courseware pages. There are so many ways to use integration to connect your patrons to the services you offer and the resources they need. We really like to cross-integrate all of our Springy creations. So if we have an FAQ, we make sure to drop it into a LibGuide, as appropriate. Similarly, if we create a LibWizard tutorial, we create a matching FAQ. The goal is to have information/education available wherever a student may look for it. I like the idea of getting the full benefit of all the various tools. I also like that we can create a text document, a video, an interactive tutorial -- each creation appealing to a different learning style. 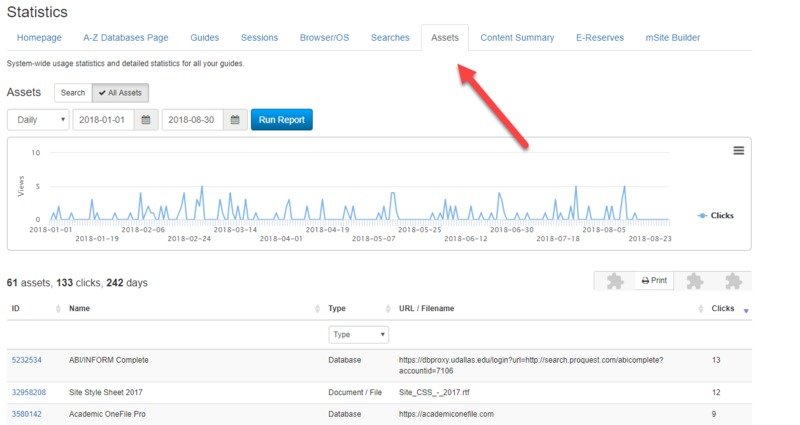 LibAnswers Ask Us Tab Is Available in their LibGuides CMS pages. Librarians want to know they're doing all they can. Connecting all the touch points. Helping people find what they need and get their questions answers -- that's the beautiful job. Getting the word out to inform the community about the many services the library offers is critical, and Amber and her team are doing a great job at it, with some help from Springshare tools. Signs in all the classrooms advertising their LibGuides CMS and LibAnswers systems. They created stickers that feature the web address and bring them to all the classes. Very often they go to the extra effort to customize them with a specific subject guide that pertains to the particular class for relevancy. They hand out sticky-note pads with the main library web address on them. They showcase the site at Faculty Development Days and New Student Orientations. They are currently in the process of embedding a Library webpage link into the shells of all their Blackboard online classes. ...a cross-departmental team was working to redesign all of the pages devoted to online learning. There were lots of pages, lots of links, documents, media, etc. Lots of duplication and a complete lack of consistency. By analyzing the usage stats on the links and assets, we were able to see what assets were actually getting used by students and then, we eliminated ones that weren't getting used at all. Based on actual data! Who knew?! LOL! We were able to streamline the whole section (less is more) and make it more responsive to student need. Folks had no idea that we had that sort of functionality.